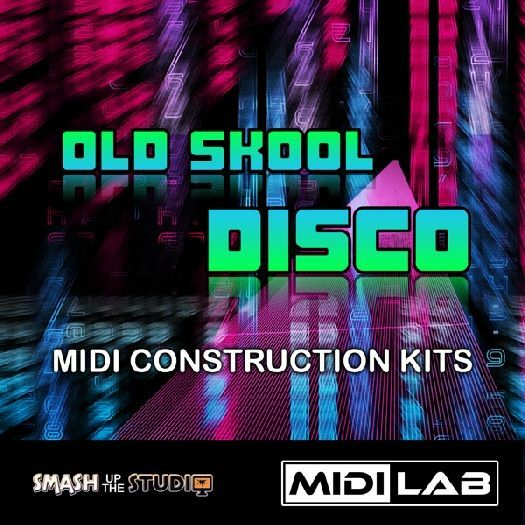 Take a trip back to the 70's and 80's with these classic retro disco MIDI construction kits. Features loops for piano, rhodes, synth, clavinet and parts for both synth and electric bass. Also includes professional arrangements for multi-sampled string and horn sections. "MIDI Lab: Old Skool Disco" features three professionally performed and programmed MIDI construction kits in classic "old skool' disco styles. Each kit has been divided up into separate loops to give the user full control over the arrangement. The keyboard loops include parts for acoustic and electric pianos, superbly played bass parts for synth bass and virtual electric bass, authentic synth lead hooks and solos and super funky clavinet grooves. Also we have included some expertly crafted arrangements for virtual string and horn plug-ins. All three construction kits were recorded using "live continuous keyboard takes" so there is not just one loop to paste down the track, you have complete and varied performances which were later chopped into 8 or 16 bar loops for the user to arrange to their own taste. This is true of all the keyboard parts and also the bass grooves which were also played "live" and split later, so you have many variations to work with. String and horn arrangements were then composed and added along with extra synth riffs and solos etc. Our demos feature all the MIDI instrument parts from the three kits. Each kit is key and tempo labelled and there is also an MP3 mix with each kit for user reference. 3 MIDI Construction Kits. 169 files in total. Please Note: Smash Up The Studio MIDI Lab products contain MIDI instrument and keyboard loops. They do not contain audio files or drum loops. All MIDI loops are royalty free: Under the terms of our license agreement.